The Outdoor Explorers’ Clipboard Sheets can be used to encourage purposeful play when children are making use of the outside space in your setting. 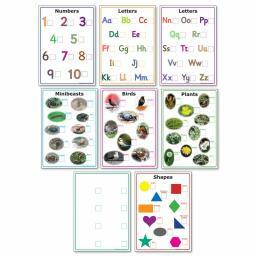 The laminated sheets feature images of minibeasts, plants, trees, leaves, shapes, letters and numbers, which can all be found somewhere outside most Early Years settings. 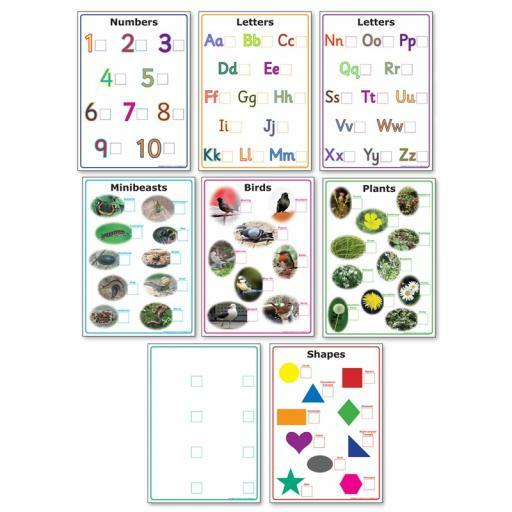 There is also a blank sheet for children to record their own observations. A child provided with a magnifying glass, sheet, clipboard and dry-wipe pen can set off to explore their surroundings independently, whilst developing mark-making, recording, investigation and observation skills.